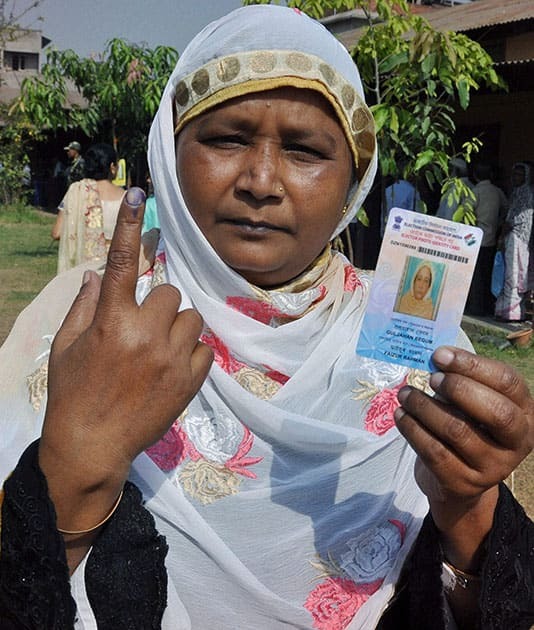 A woman shows her inked finger after casting her vote for Lok Sabha polls at a polling station, in Guwahati. 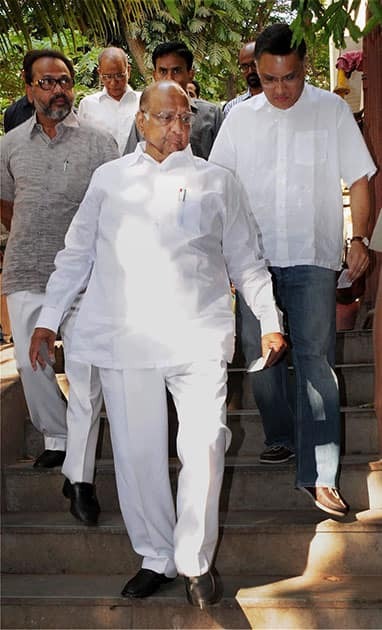 NCP, Chief Sharad Pawar along with his son-in-law Sadanand Sule (R) arrives to cast his vote for the Lok Sabha elections 2014 in Mumbai. 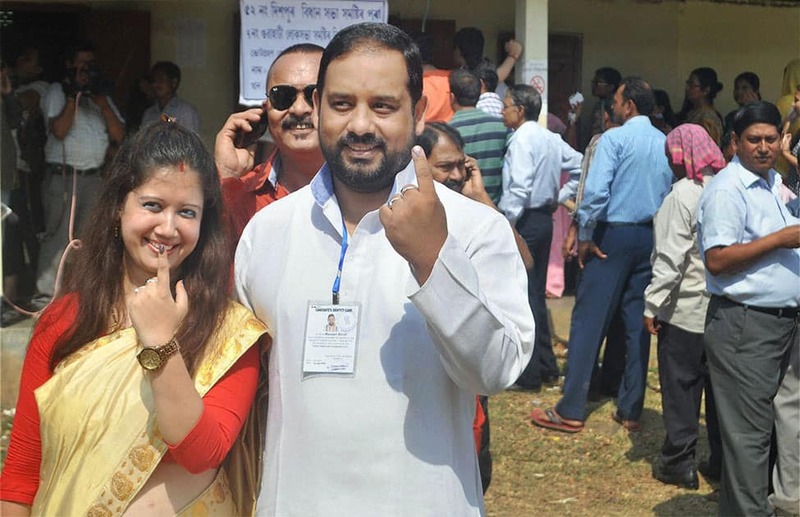 Congress candidate for the Guwahati Lok Sabha constituency Manas Bora and his wife shows their inked finger after casting his vote for Lok Sabha elections in Guwahati. 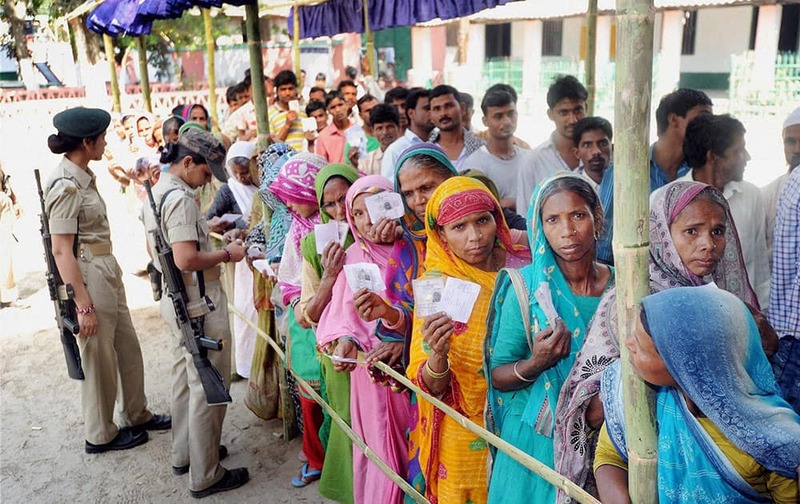 Voters standing in a lqueue to cast their votes in Araria. 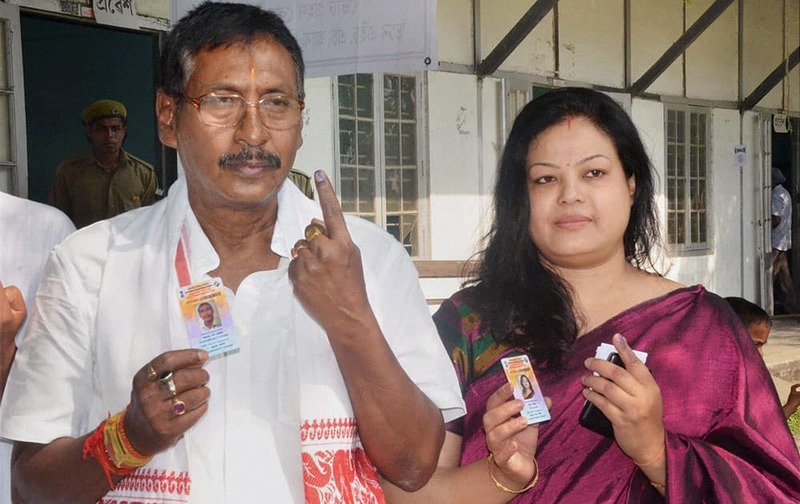 BJP candidate from Nagaon constituency Rajen Gohain with his wife shows their inked fingers after casting their votes for Lok Sabha polls, in Nagaon district of Assam. 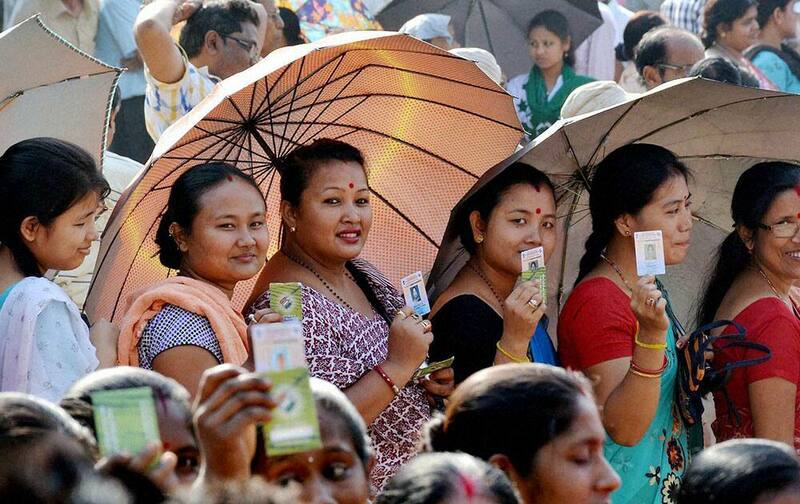 Woman voters show their voter identity cards as they wait in a queue to cast votes for Lok Sabha polls outside a polling station, in Guwahati. 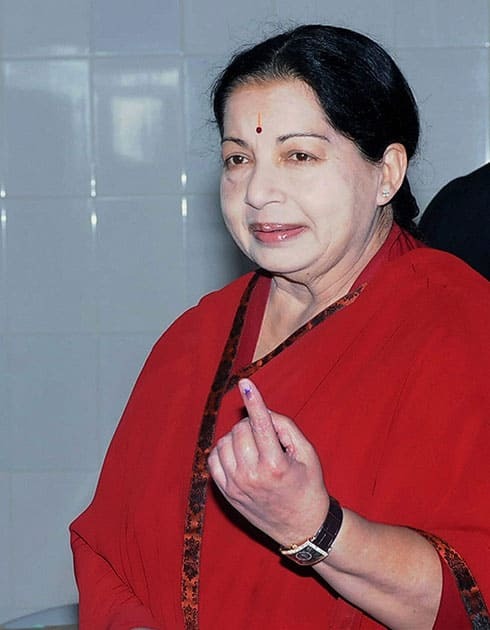 Tamil Nadu Chief Minister and AIADMK supremo Jayalalithaa shows her inked finger after casting her vote for the Lok Sabha election, in Chennai. 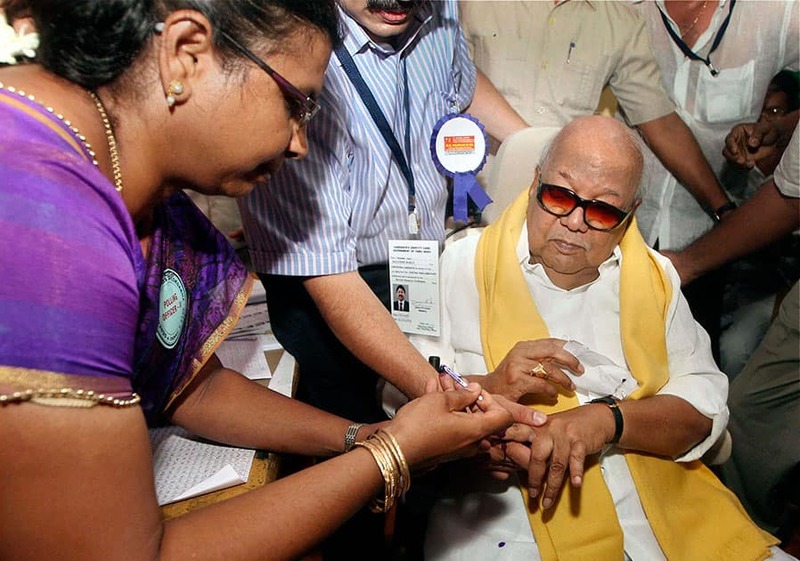 DMK chief M Karunanidhi gets ink mark on his finger before casting his vote, in Chennai. 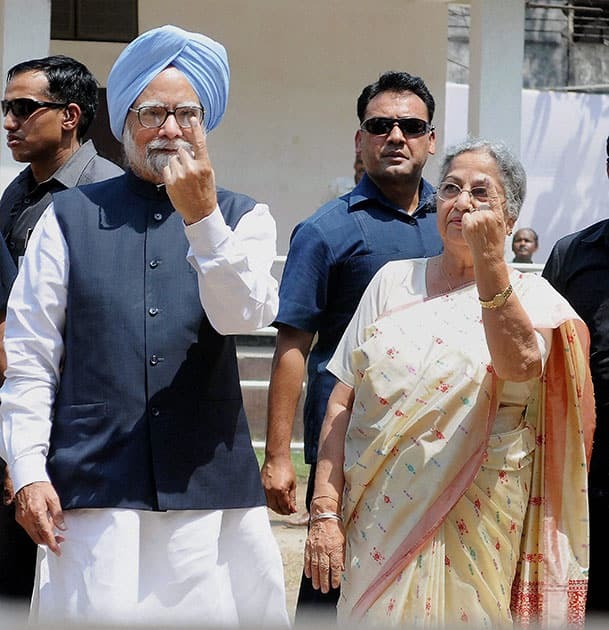 Prime Minister Manmohan Singh and his wife Gursharan Kaur showing the ink mark on their fingers after casting votes for Lok Sabha polls at Dispur in Assam. 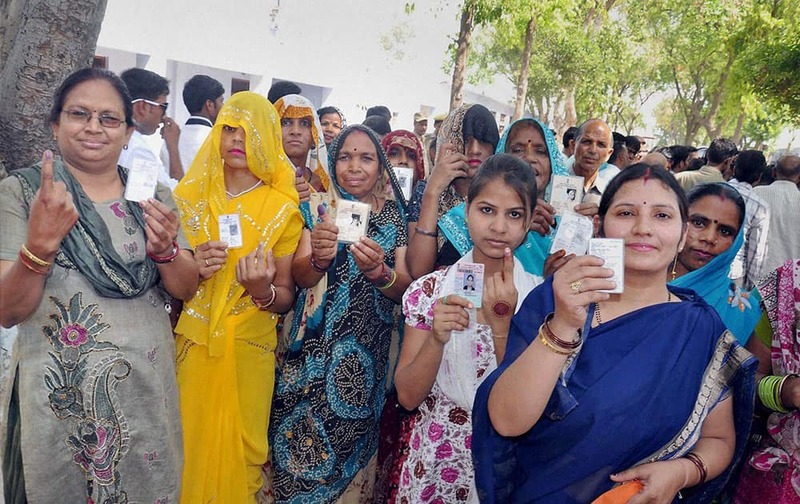 Woman voters show their identity cards after cast their votes at a polling station in Mathura. 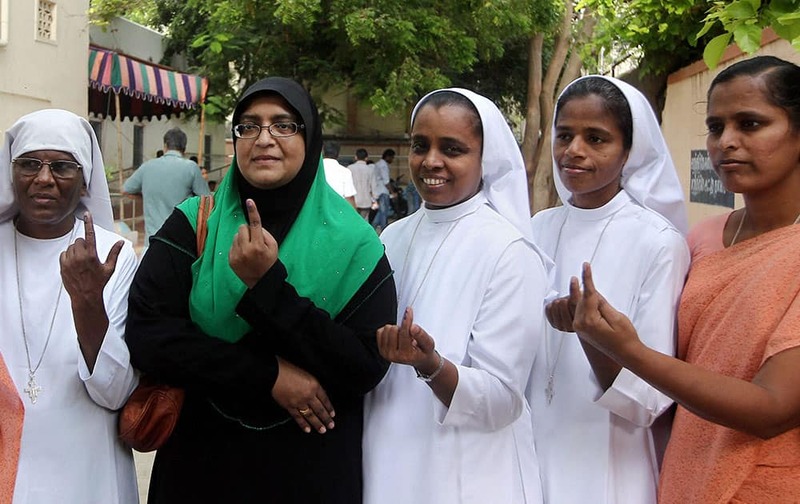 A Muslim woman along with Christian nuns showing inked fingers after casting votes for Lok Sabha election, in Chennai. 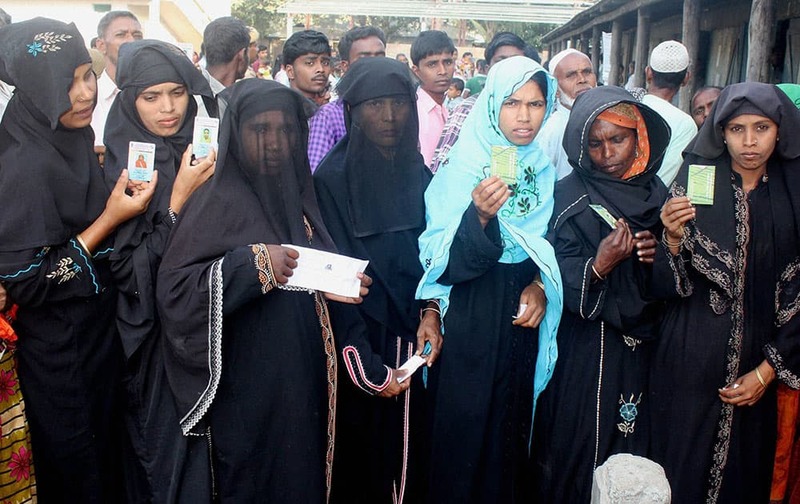 Muslim woman voters standing in a queue to cast their votes at a polling station in Dhuburi. 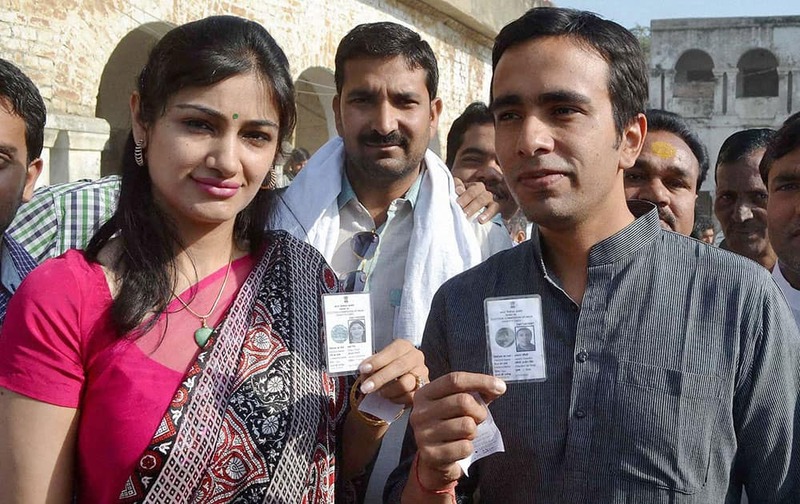 Rashtriya Lok Dal (RLD) candidate Jayant Chaudhary and his wife Charu show their voter identity card before casting votes for Lok Sabha elections in Mathura. 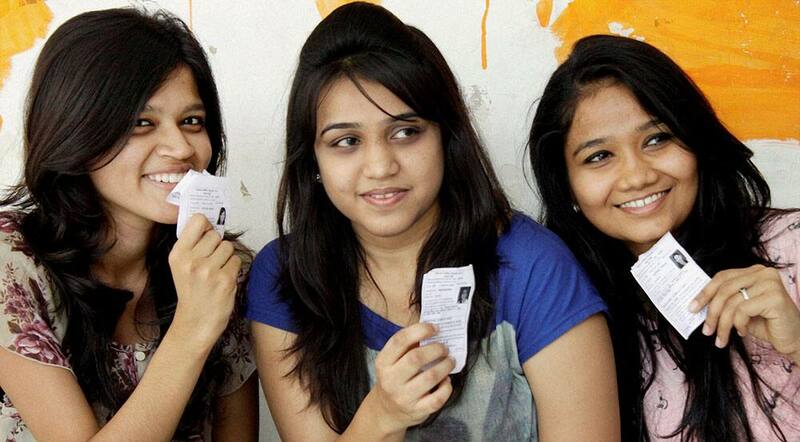 First time voters show their identity cards as they wait to cast their votes at a polling booth in Mumbai. 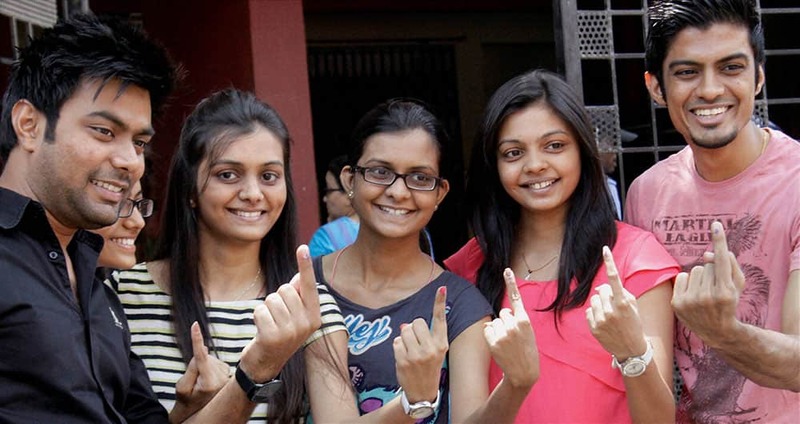 First time voters show their inked fingers after casting votes for Lok Sabha polls at a polling booth in Mumbai. 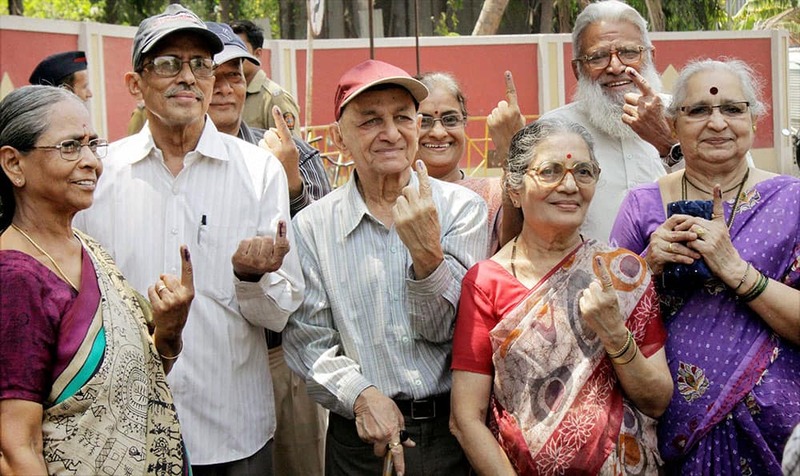 Senior citizens show their inked fingers after casting votes for Lok Sabha polls at a polling booth in Mumbai . 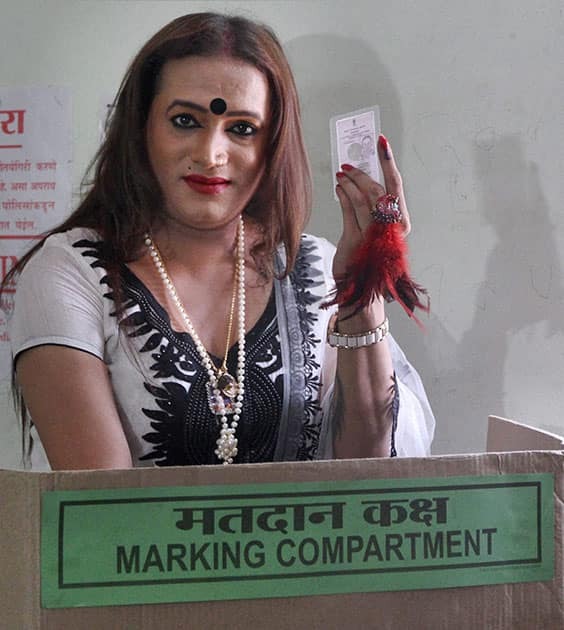 Transgender and social activist Laxmi Tripathi casting vote for Lok Sabha polls at a polling station in Navi Mumbai. 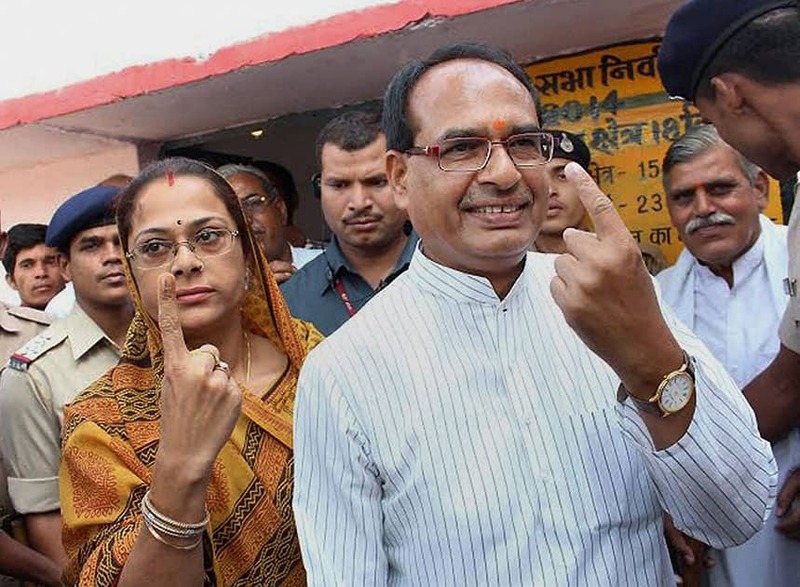 Madhya Pradesh Chief MInister Shivraj Singh Chouhan with his wife Sadhna Singh show their inked fingers after casting votes at a polling booth at his native village Jait, Vidisha in Madhya Pradesh. 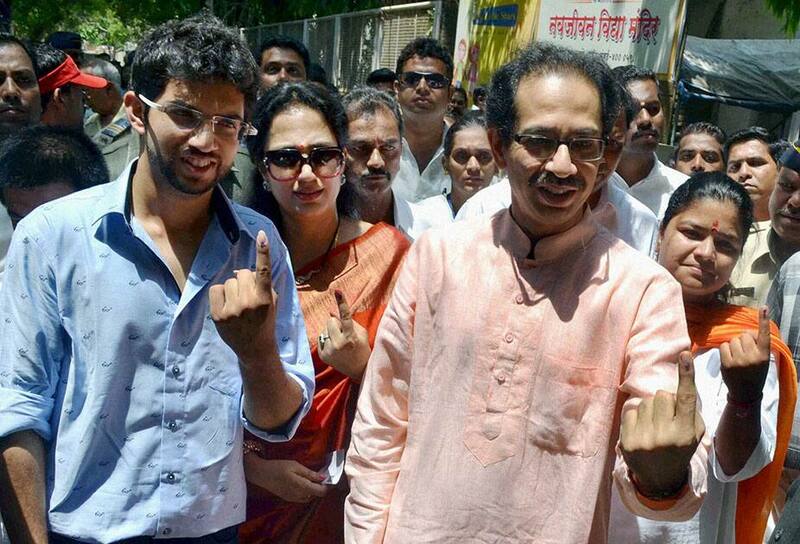 Shiv Sena chief Uddhav Thackeray his wife Rashim and son Aditya with BJP candidate Poonam Mahajan (R) display their inked fingers after casting votes for Lok Sabha polls in Mumbai. 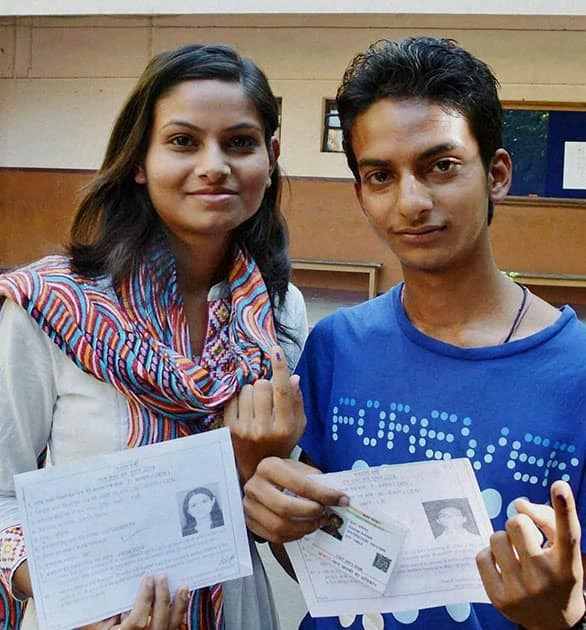 A brother and sister after casting votes at a polling station in Bokaro, Jharkhand. 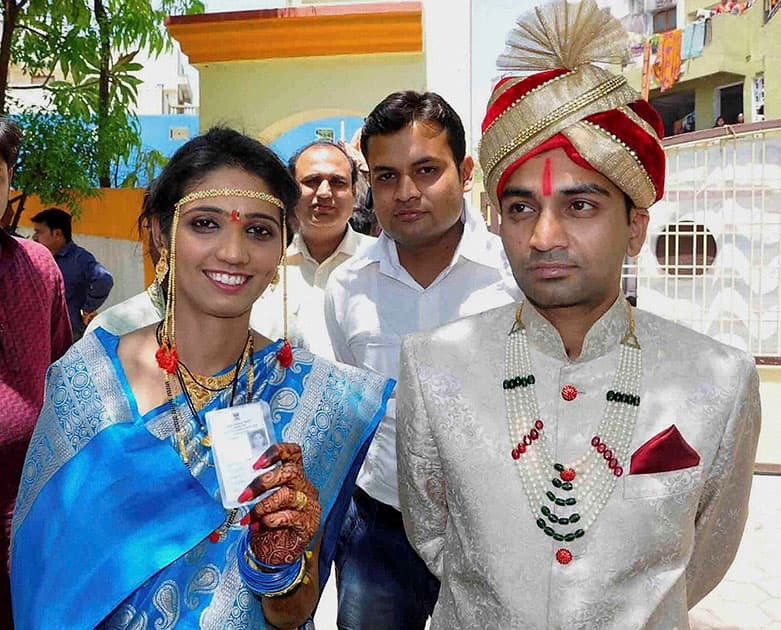 A newly-wed couple before casting their votes for Lok Sabha elections in Ujjain, Madhya Pradesh. 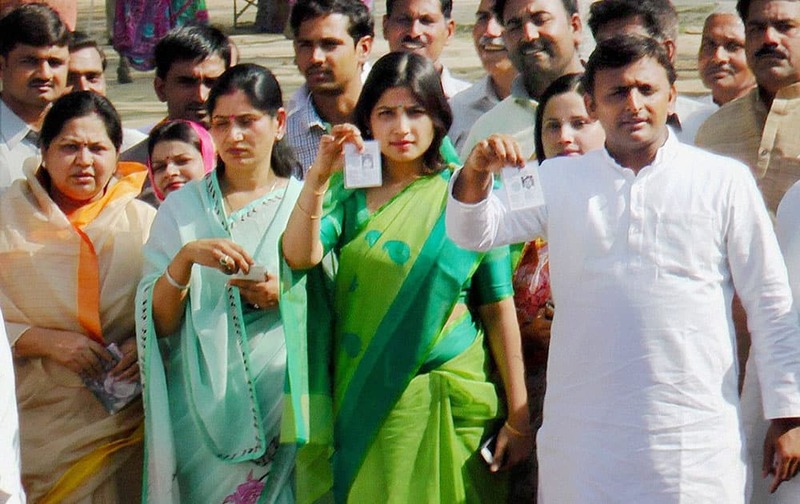 Uttar Pradesh Chief Minister Akhilesh Yadav with his wife Dimple Yadav and other family members show their identity cards after casting votes at a polling booth in Saifai, Etawah. 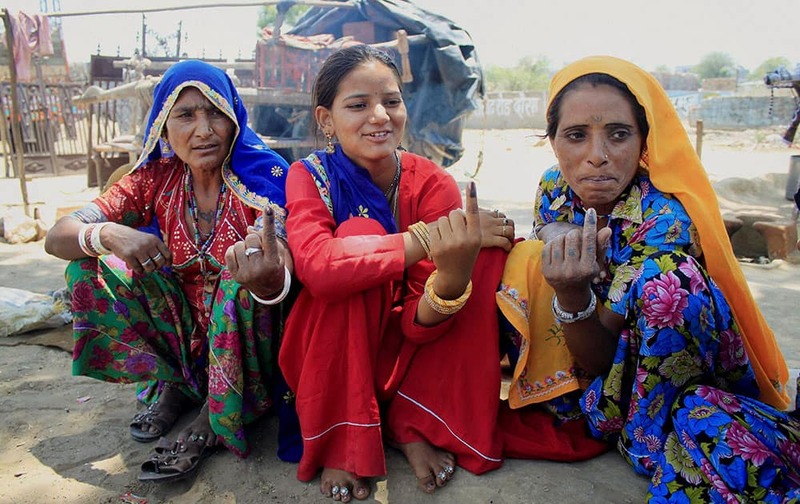 Homeless women voters show their inked fingers after casting votes for Lok Sabha elections at a village in Dausa district of Rajasthan. 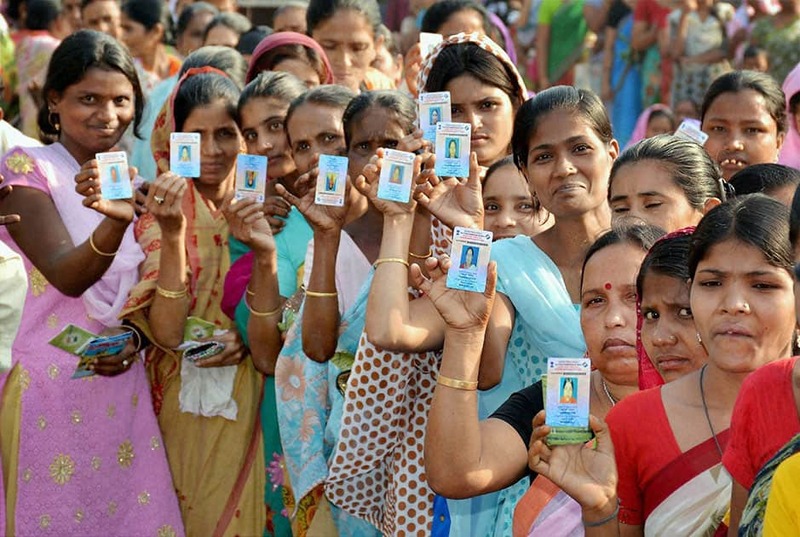 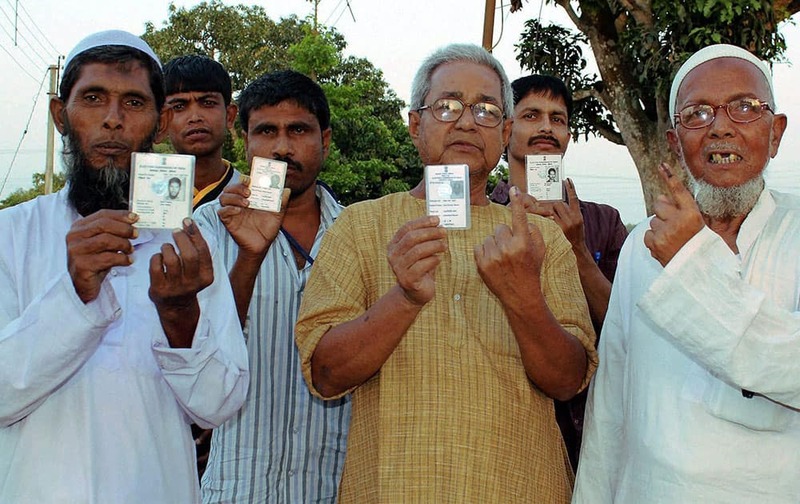 Voters show their ID cards after casting their vote at a polling station in South Dinajpur district of West Bengal. 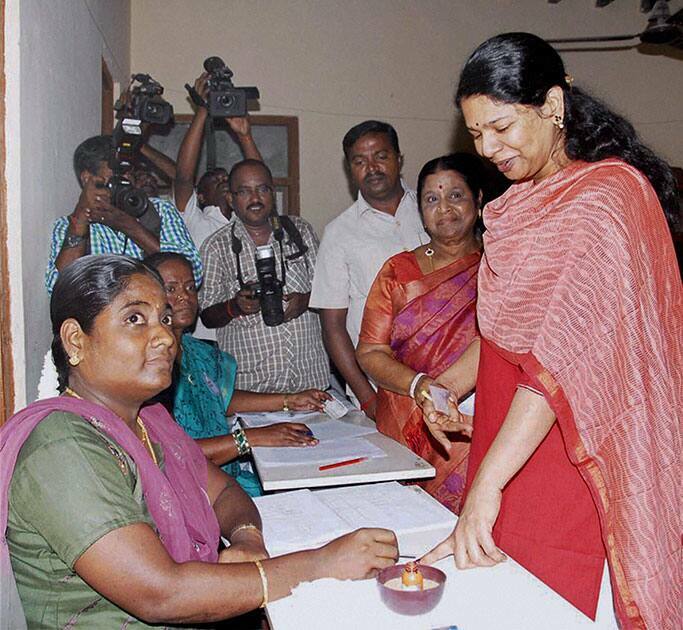 DMK Chief M Karunanidhi`s daughter Kanimozhi arrives to cast her vote for Lok Sabha elections in Chennai. 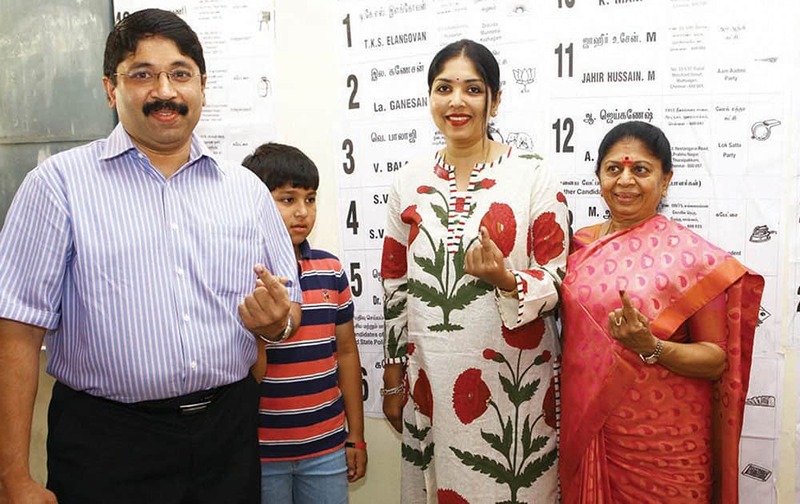 DMK leader and Chennai Central constituency candidate Dayanidhi Maran along with his family members after casting their votes for the Lok Sabha elections in Chennai. 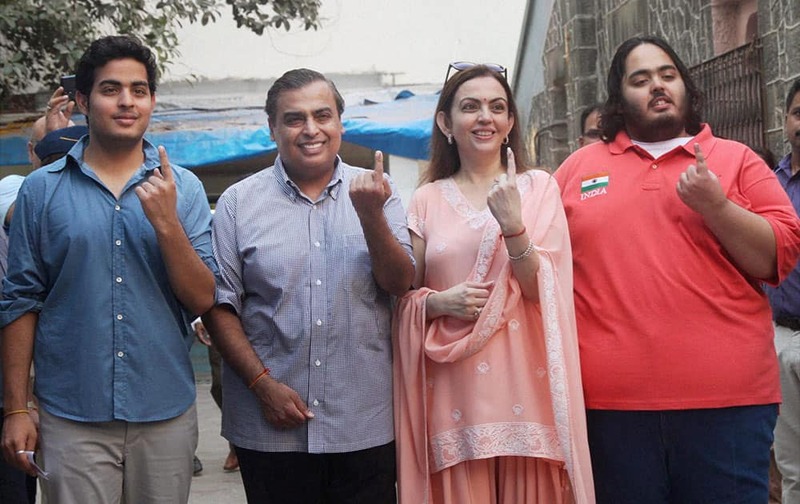 Industrialist Mukesh Ambani with wife Nita Ambani and sons showing ink marked fingers after casting votes for the Lok Sabha elections, in Mumbai.